I have been wanting to feature this piece for awhile now, it's just so cool! 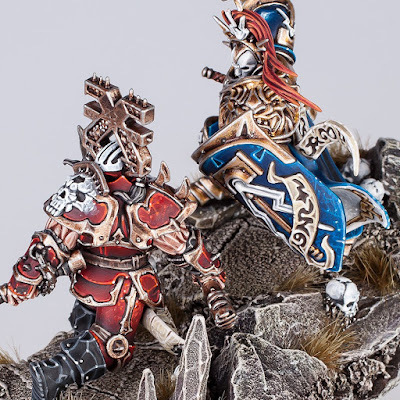 I feel like this duel pretty much encapsulates the Age of Sigmar aesthetic perfectly. It's extremely iconic in its choices of having a golden Liberator versus a red Bloodbound. Having it all take place on top of a piece of floating rock attached to the ground with a giant chain is just icing on the cake. The amount of skulls on the base and the magma just further reinforce this. I have to imagine that the cover of the main Age of Sigmar book was the inspiration for this piece. The painting on this is super bright and colorful as well. I really love how saturated everything is. The cool textures that he has painted on in areas really help break up the flat areas and make sure every part of this piece is interesting. The spot highlights of white help draw the eye in as well, and he has carried that through onto all of the rocks as well. 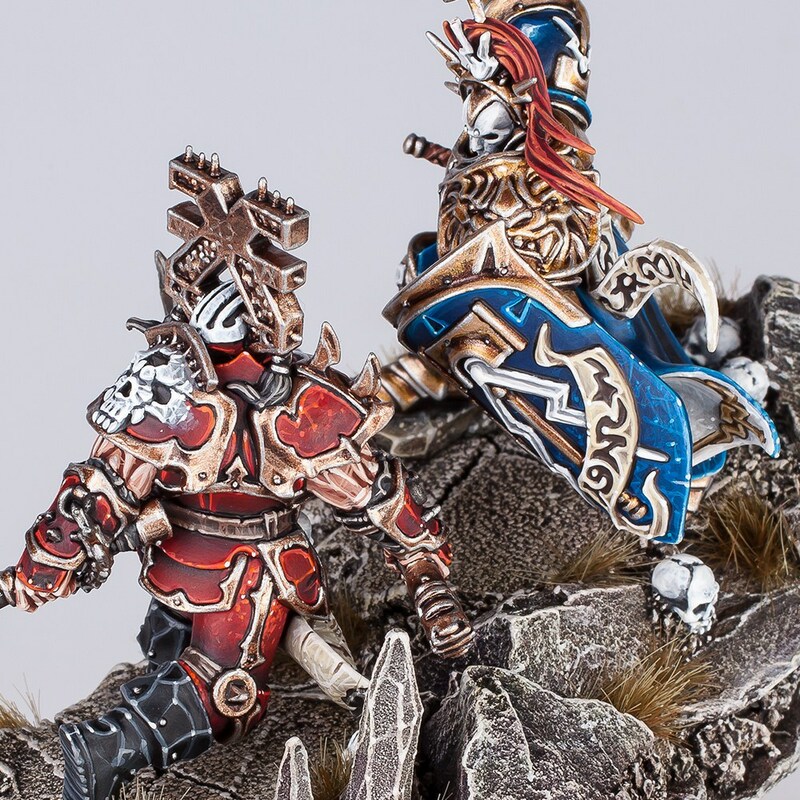 This whole duel is really just a winner and very deserving of the Silver it got at the 2016 Age of Sigmar Golden Demons. 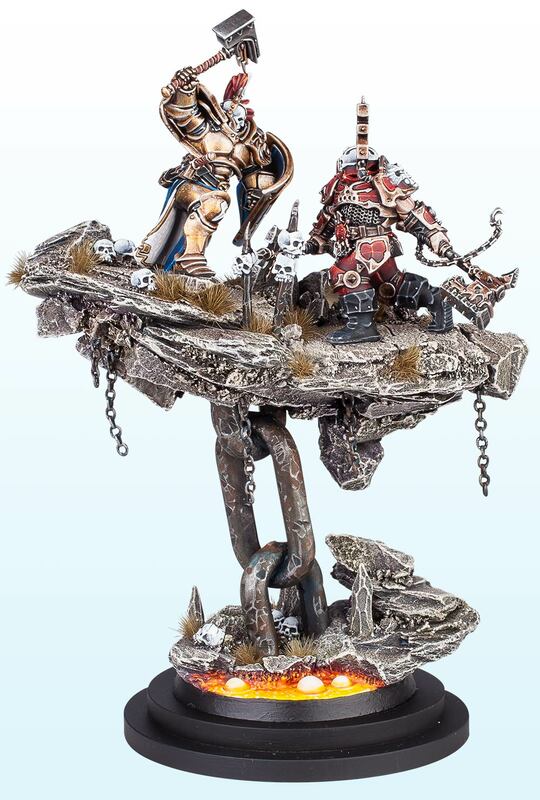 Be sure to check out more views of the model on the Official Golden Demon website!